I still feel the sting of frustrated teachers coming to me about my son’s over active behaviors and the moments when people just didn’t “get” why my daughter was in tears and needed to be taken home. I’ve been parenting one child with severe ADHD and another who is Autistic, more specifically Aspergers, I call her my Aspie child. While my children have very mild needs on the scale of special needs, I have much compassion and insight. This is because I grew up with a brother who was had severe brain damage from his body reacting to vaccines as a toddler. Church and new places were often a source of stress for my mother and my brother due to the lack of accommodations. 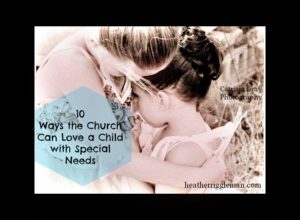 While church is supposed to be a welcoming place, it can be intimidating; however, no matter the size or the situation, I believe with a little understanding and compassion, church can be an amazing “home” for a child with special needs. Here are some tips to consider for your own church. 1. Greet Families and Simply Ask. When new families walk through the door with a special needs child (SNC), greet them like any other family. Greet them and offer to show them where the children’s Sunday school classrooms are. Show them where the private rooms are to watch the service if there are any and don’t forget to show them the bathrooms. Offer to carry bags and assist in getting them registered. This shows kindness, compassion and a warm friendly welcome. My church as a beautiful Narthex, complete with a flat screen. When welcoming new families, we let them know that the Narthex is a great place to still be a part of the service. And while this is nice, consider creating a room where families can go with access to the main service, complete with sound/visual and a place to rest. This also offers privacy and less distraction which is a great way to focus on God. The emotional, mental, physical demands of caring for special needs kids can be overwhelming. Parents need more breaks to avoid burn out. 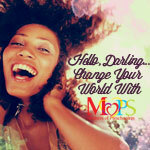 This can be a great ministry of your church. Consider a kids activity night where families can drop off their kids for one to three hours. This allows time to rest, clean house, reconnect with their spouse or shop. This will require extra planning and dedication depending on how your church is facilitated. Consider placing volunteers in all classroom ages who will specifically care for the child. This allows the child to have his or her needs met in the classroom while still enjoying mainstream Sunday School activities. When caring for a child with special needs parents know them inside and out and sometimes the Sunday School teach is perplexed about what the child needs. Consider a paging or text messaging system to communicate with the parents during service. This gives the parent reassurance and the teacher flexibility. Depending on the size of your church and the types of needs walking through the door, education is key. 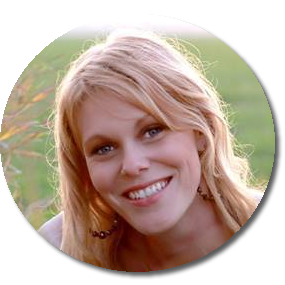 Give information about the diagnosis’ of the kids your church serves. If it’s ADHD, teach Sunday School teachers and volunteers about behaviors and ways to communicate. Communication puts both the parents and the Sunday School teachers at ease. It shows your church cares about the needs the family and the child has. Ask about ways your church can assist the family and child while they are at church. It can be something as simple as texting the parent during service about the child’s morning. Meeting these needs gives parents a piece of mind, allowing them to relax and focus on worshipping God. Be sure areas like the sidewalks, handicaps parking, aisles, doors, etc are free from debris. Making sure these areas are accessible for wheelchairs and walkers allows independence. Depending on the size of your church, consider having events specifically for kids with special needs. While most parents like myself want our child to be as mainstream as possible,but it is AWESOME to have events that are just for our kids. Sometimes events like Easter Egg hunts can be overwhelming, so depending on the size of your church, consider offering events once a month that are just for them! Many parents are finding that not only does their child have developmental delays but their child has dietary needs as well. Both my children are on a Clean Eating Diet, meaning we avoid preservatives, sugars, processed foods, antibiotics and hormones. This has greatly reduced their symptoms. Many children have other needs like gluten-free foods or low glycemic foods. When planning a church picnic, offer foods that are gluten-free. If you are unsure of the dietary needs, consider calling the families and plan accordingly. It will great bless those families. What does your church to do assist families with special needs?